Today I have decided to write about my trips around Europe. I write it from a professional point of view which is none other than the world of extra virgin olive oil. I spent the summer of 2013 in France, in Bergerac located in the Dordogne in the Aquitaine region. A charming place that I recommend, where you can find forests, prehistory, and a rich gastronomy with artisan products and where the consumption of olive oil is quite generalized, although sporadically. You will find this product on small shelves from large supermarkets. 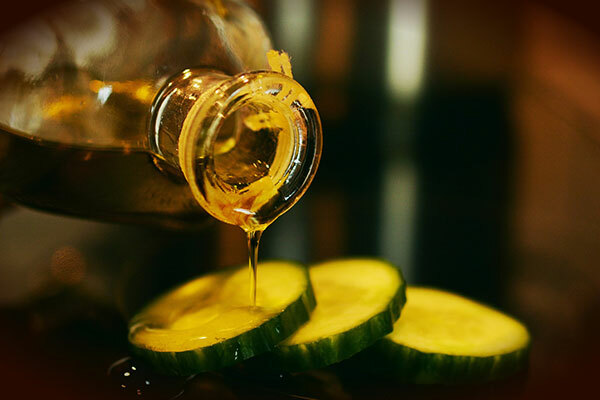 Forget about a street full of bottles of olive oil. In small food stores, they just do not have it. This lack of products or shortage of them is compensated with shops specializing in gourmet products where you can find everything, although most are Italian products and those produced in the south of France. The following year, the family trip was through the Ardennes, Belgium, in a small town, Izel, next to the Semois River. It is our custom to visit the surroundings on day trips so we reduce it to a limited number of kilometers. These kilometers included Luxembourg. All travelers usually recommend places they visit. I do it too. It is a peculiar area, very influenced by the battle of Verdun, in the First World War, and by the battle of The Ardennes, in the Second World War. All the towns have cemeteries next to the churches where the soldiers of these wars rest. As in France, we only can find extra virgin olive in large supermarkets and its use is quite residual, something that we can appreciate by the little space that they dedicate in the supermarket shelves. At home, they use to have a small bottle next to the spices. 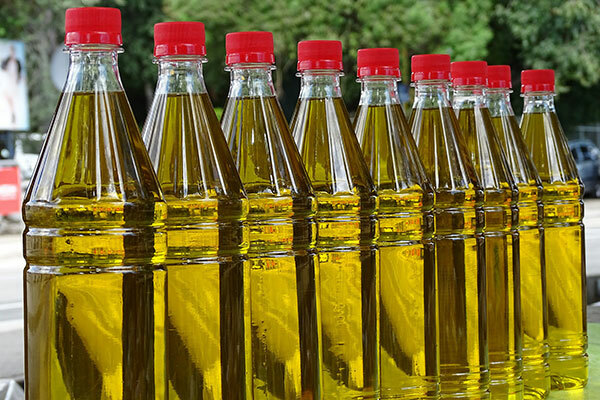 The daily use in Belgian cuisine is sunflower oil. Our destination in the summer of 2015 was Evercreech, in Somerset County in the United Kingdom. A place just over an hour from Cardiff in Wales and 15 minutes from Stonehenge. It is an agricultural and livestock area with picturesque villages and lots of history. There are very small towns and others of greater size with all services and large areas. Being an agricultural area, many artisan and organic products, like jams, butters, vegetables, as well as their meat, are sold here, and everything with great quality. The sale of extra virgin olive oil is the same as that I described before for France and Belgium, and its use is also very residual. In larger populations, such as Cardiff, Bristol or Winchester is easily found in its supermarkets but in small quantities and with little variety, prevailing extra virgin olive oil from Italy. Finally, I'll talk about last summer, 2016, and Hungary. Our tour was quite extensive arriving to Slovakia, north of the Danube. I can say that if Budapest is a gem, you will be surprised by that other Hungary with typical cities and an explosion of nature. It will be difficult to find a bottle of olive oil and much more extra virgin. Just in large supermarkets and in a residual way. It is not in your culture to consume this oil. I would like to summarize that in the four cultures of which I have spoken, the consumption of extra virgin olive oil is very sporadic, its use is as a condiment. I think there is a great opportunity to increase the consumption of olive oil, with a consumer information policy of the healthy benefits of olive oil, that responsible organisms and big producers should take. I will finish with a recognition of the different gastronomy from these countries. French pâtés, how they prepare duck, their vegetables, and their wines. Belgian mussels, sweets, and chocolates. The different English meat pies, and the Hungarian goulash that you can taste in Esztergom with spectacular Danube views. Every place has something special. Another day I will tell you other things from other places.